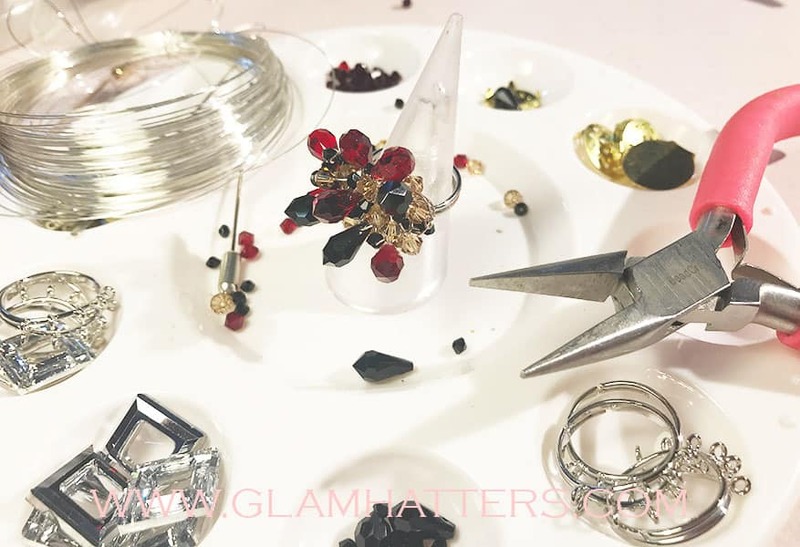 Make a statement ring, earrings or pendant using Swarovski crystals, beads and silver plated Findings at our jewellery making workshop. 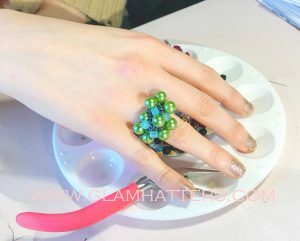 The Glam Hatters Girls will teach you step-by-step to make a beautiful piece of jewellery. 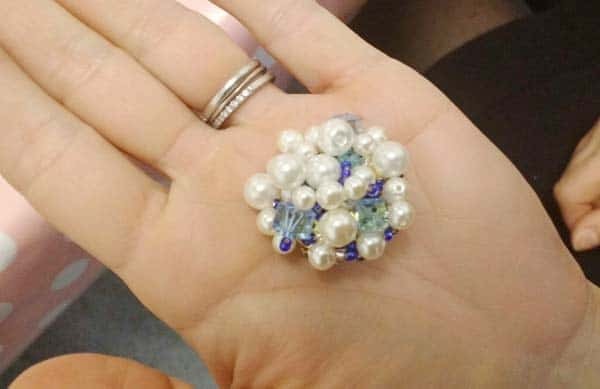 Using modern jewellery techniques with a twist. Choose from a huge range of colours in crystals and beads. 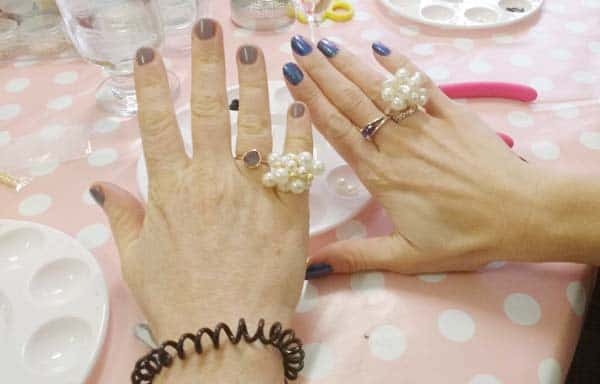 The minimum group size for the jewellery making workshop is 10 hens (may be higher for parties outside London.) For smaller groups please email for a quote and we’ll be delighted to help. We have no maximum number of hens as we have lots of lovely teachers and large venues! 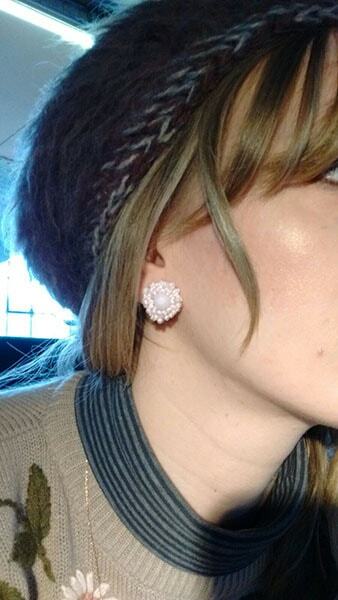 We also travel nationwide bringing the Glam Hatters’ hen parties to a location of your choice. 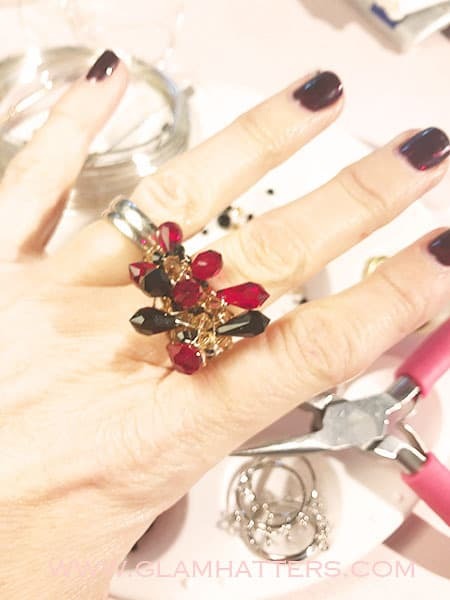 Please email with details of group numbers and locations you would like for your jewellery making party or an address of a venue you already have booked and we will give you all the details. Prices vary according to the size and location of the jewellery making workshop. We would love to host your hen party and will make sure you have a lovely time with us! If you would like to see photos of past parties we have thrown check out our Facebook page. Please contact Janie on the form below with details of your hen party and she will be delighted to give you a quote, help you sort out your hen do, and provide you with lots of information and tips for planning your bridal shower.